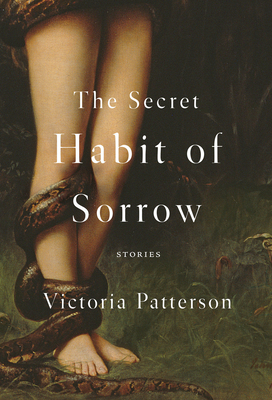 Victoria Patterson, whose writing Vanity Fair has called "brutal, deeply empathetic, and emotionally wrenching," returns with a new collection of stories that contains echoes of Denis Johnson and Raymond Carver, along with the emotional depth and density of Elena Ferrante. There's a pitch-perfect blend of linguistic dexterity, emotional wisdom, and wry observation in The Secret Habit of Sorrow. The characters in these stories feel like people you know, their struggles real. Victoria Patterson's prose has a Denis-Johnson refiltered-through-Raymond-Carver-vibe, along with the emotional depth and density of Elena Ferrante. Whether it be the ties between women and their own and each other's infants, the struggles of parenthood, or the trials that come with excessive drinking and drug abuse, Patterson has an amazing ability to convey relationships and how our bonds can both save and destroy us. Her previous collection of stories, Drift, was a finalist for the California Book Award and the Story Prize, and was selected as one of the best books of 2009 by The San Francisco Chronicle. VICTORIA PATTERSON is the author of the novels The Little Brother, The Peerless Four and This Vacant Paradise, a 2011 New York Times Book Review Editors' Choice. She lives in South Pasadena, California, with her family and teaches at Antioch University.